Welcome Home! This home is resort living at it's finest. 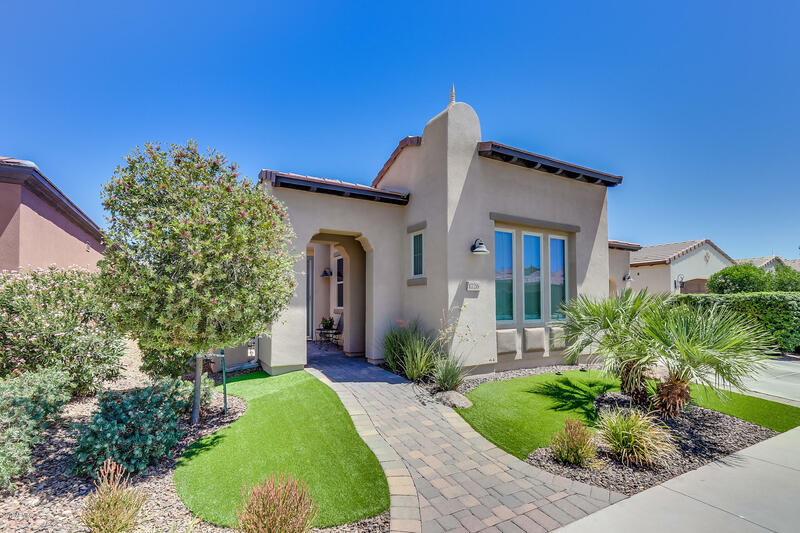 This home even offers the Shea Zero PRE-PAID Solar System for top of the line energy efficiency. Step inside and you'll find beautiful details in every area of the home. The kitchen is well equipped with stainless steel appliances, custom backsplash and staggered maple cabinets. The ''smart-space'' laundry room offers additional cabinets and desk area. Gorgeous tile-work can be found throughout the home. The master suite bath has beautiful tile and backsplash. Enjoy the low maintenance backyard with turf grass and extended pavers. Enjoy the soothing sounds of the custom water feature while enjoying the Arizona evenings. Encanterra offers world-class amenities like golf, tennis, restaurants, spa, pickleball and so much more.